The CPR Resuscitator Mask Kit is for artificial respiration that avoids direct contact to Mouth with the patient. It is single patient use. 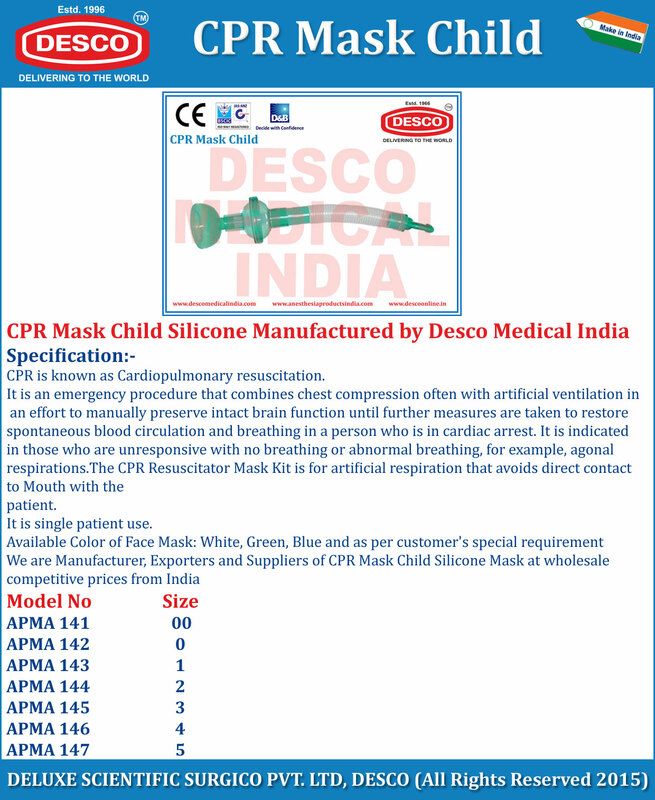 We are Manufacturer, Exporters and Suppliers of CPR Mask Child Silicone Mask at wholesale competitive prices from India.